Cyclist John Kirby was riding in the bike lane in Parker, Colorado in November 2017 when he was hit and killed by an alleged distracted driver. (A special thanks to our friend Russell, for posing for this photo. Don't worry, the car is not in motion!). Distracted drivers cause an average of 40 crashes every day in Colorado. Sixty seven deaths in 2016 involved Colorado distracted drivers. One of Megan’s most common practices is to check social media for photos the at-fault driver has taken on their phone while in the car (has anyone else noticed this bizarre trend of taking selfies of oneself sitting in the driver’s seat with the seatbelt on?). Megan has used these photos to argue that the driver frequently used, touched, messed with, and operated a phone while in the vehicle. There is no question that juries punish this behavior with larger verdicts. Interestingly though, there seems to be a trend where jurors, cyclists, society at large, “tsk-tsks” this behavior and yet, it seems so prolific that “everyone is doing it.” Why do we shame others for the very conduct we ourselves do? One issue that seems to arise is the use of map apps or directions to get to a destination. There are two solutions to this that would remove the phone from a driver’s arm’s reach: One, use the car’s built-in NAV system and don’t use the phone for directions. Two, type the destination into the phone and set it to an audible turn-by-turn guidance format. Then, stash the phone back in the backseat or trunk where you cannot reach it. Numerous studies and statistics show that once the phone is within eyesight of a driver or user, it is almost impossible to resist the urge to check it, touch it, use it ... The phone is an addictive device for most users. Therefore, to ensure you are never a distracted driver, it needs to be out of sight each time you operate your vehicle. A person under eighteen years of age shall not use a wireless telephone while operating a motor vehicle. A person eighteen years of age or older shall not use a wireless telephone for the purpose of engaging in text messaging or other similar forms of manual data entry while operating a motor vehicle. Forty seven states make text messaging illegal while driving. It is against the law to operate a motor vehicle while wearing earphones that include a headset, radio, tape player, or other similar device which provides the listener with music, radio, or recorded information and which covers all or a portion of the ears. Do these laws do enough to protect cyclists? In January and February 2018, bills aimed at decreasing distracted driving throughout Colorado and protecting vulnerable road users did not make it out of committee or were voted down during the Colorado legislative session. 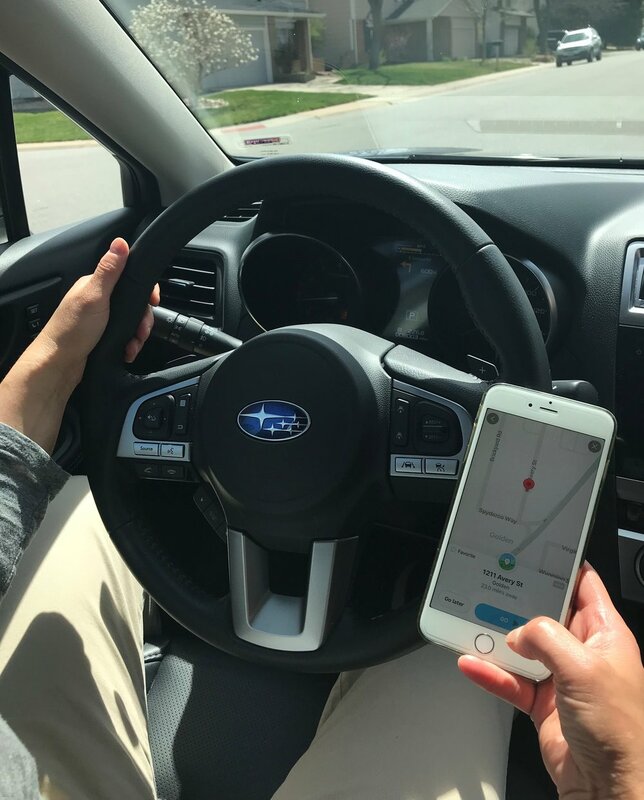 Senate Bills 18-140 and 18-049 would have made careless driving a class 1 misdemeanor and increased the penalties imposed for distracted driving. Take the pledge to drive free of distractions. Whether you do this online or privately, pledge to drive without texting, checking social media, changing the radio station, multi-tasking or any behavior that is going to take your eyes off the road. All cyclists, while operating their motor vehicles, should be distraction-free. If we want to set the example and make roads safer for us when we are riding, then our call to action when we are motorists is to put those phones in the backseat or truck (as many in Canada do, given the harsh penalties there for even touching one’s phone). Check out the National Safety Council pledge here or the “It Can Wait” campaign here if you want to make your pledge official. Advocate for laws that will impose tougher penalties for distracted driving. Speak up for laws that will make cycling safer and provide better infrastructure for cyclists. Get involved with a bike organization such as PeopleForBikes, whose aim is to make riding better for everyone. They represent all types of cyclists and work at city, state and national levels to improve bike infrastructure and provide support to bicycle advocacy groups on a local level. Membership is free so SIGN UP! Pull off to the side of the road if you need to make a call or just turn your cell phone off while driving. Be a role model. If you are a parent, put down your phone while driving when your kids are in the car. Don’t call or text your kids if they know you might be driving. Set a good example! If you are interested in your state’s distracted driving laws, the Governor’s Highway Safety Association has put together a state-by-state chart here.